IRMA: An Atlantic hurricane for the record books! With each new advisory issued by the National Hurricane Center about the course and intensity of Hurricane IRMA, we all become exponentially more awe striken at the powerful display of Mother Nature, and wonder how much more intense can this storm grow? The latest data I have seen shows that as of 1515 EST IRMA was packing sustained winds of 294 kph (184 mph) with even higher gusts, and its then current central pressure had already dropped to 926 mb. 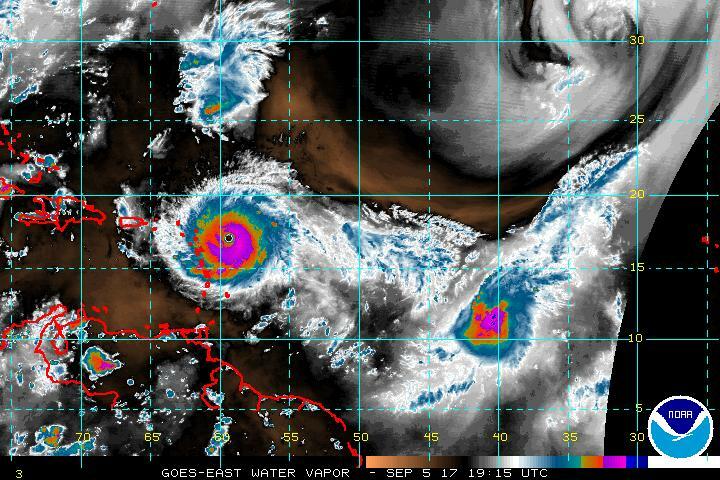 This is by far the stronger hurricane active in the open Atlantic since records have been kept. New record may still be set in coming days as the hurricane encounters even warmer surface waters.We can only wait and see what happens. 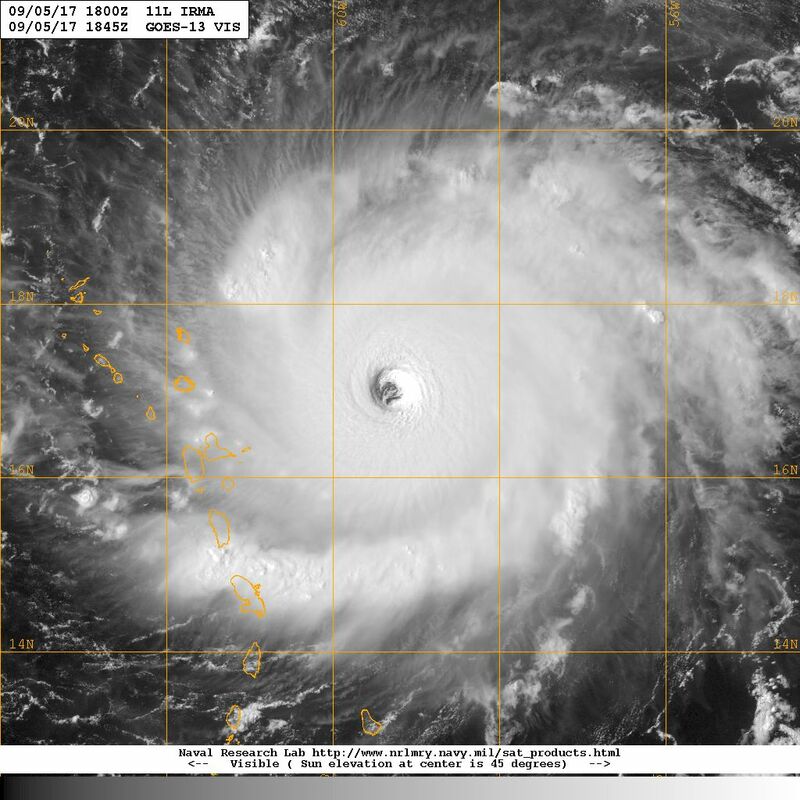 Visible light and infrared imagery focusing on water vapor in the atmosphere show an impressive image of IRMA as it approached the northern Winward Islands, and the Virgin Islands and Puerto Rico beyond. In these images we can also see the ‘chase’ tropical wave following behind IRMA , which is already displaying some cyclonic characteristics. Awesome as this display of power is, it is even more worrying because of the vast potential for causing damage that this hurricane has as it gets closer to various land masses along its path including our Florida peninsula, which remains within the ‘cone of uncertainty’ of the predicted track of IRMA in coming days. 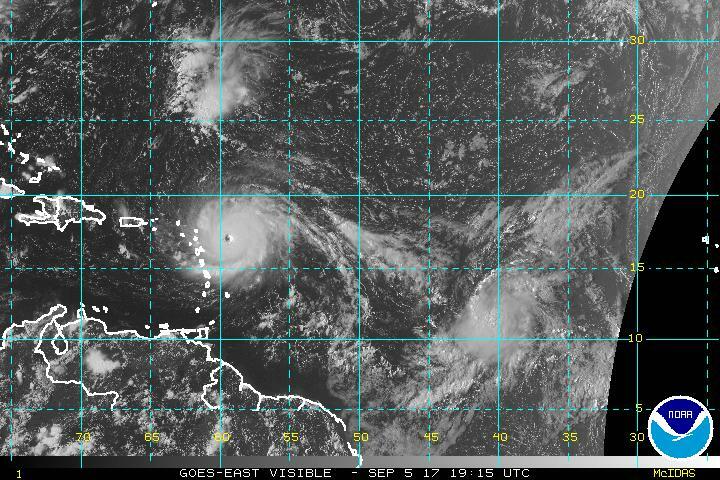 IRMA may be the ‘big one’ we have speculated about for the past 25 years, or it may not. Only time will tell and we will find out soon enough. 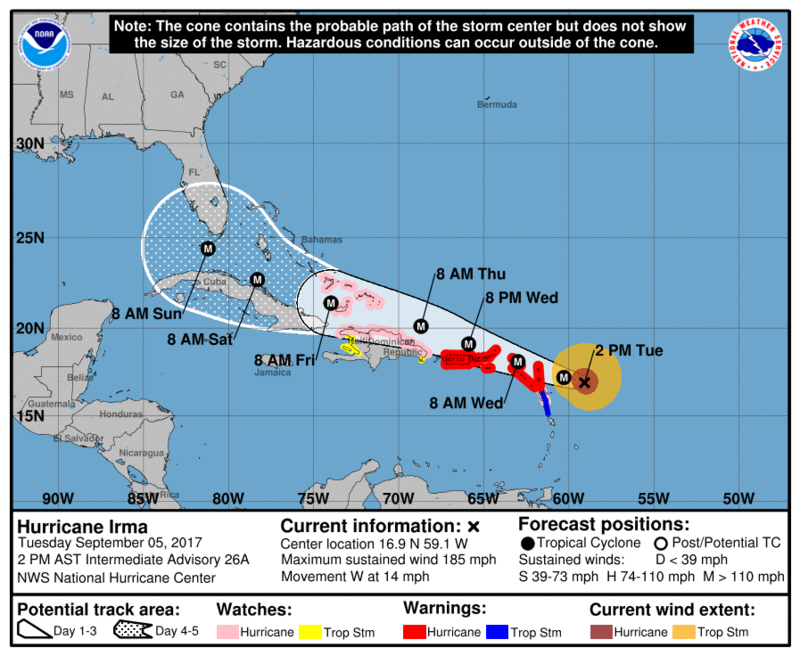 Now is the time to take the potential impact from IRMA’s wind and water extremely seriously and take all precautions necessary to protect life and property. May God protect us all. Get ready. Remain alert. Be prepared. MITIGATE!